For everything you need to know about ruminant nutrition, Rob is the one to talk to. Originally from the UK where he also worked in the feed industry, he moved to New Zealand with his family in 2004. 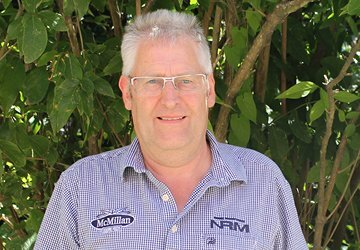 Rob is passionate about livestock and enjoys the fact that he can be involved across the board, from large scale dairy and calf rearers to small scale part-time farmers, to help the health and happiness of stock. Rob keeps poultry, sheep, cattle and horses on his lifestyle block and loves gardening and woodwork, as well as good, cold milk.